An easy-to-use chart for knowing what to brew and when. Every home brew has its season, the time of the year when you can enjoy it at its very best. This simple tool will guide you through what needs to be brewed and when so you can enjoy the style when it is most appreciated. 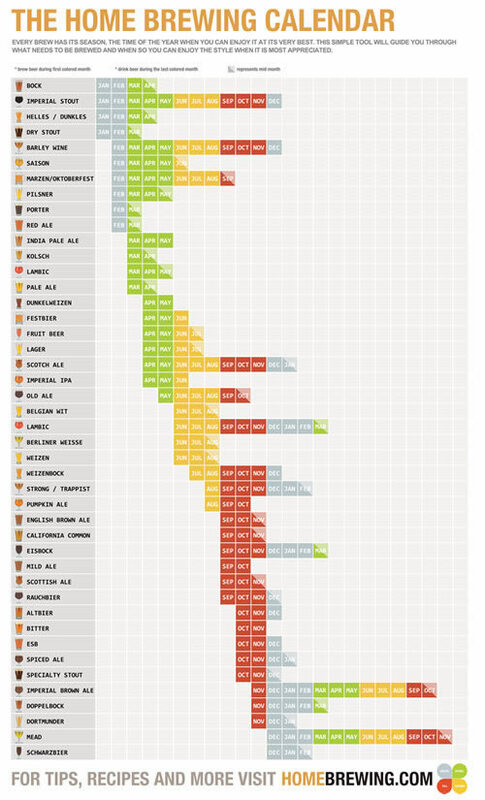 In one line, our home brewing calendar tells you what month to start brewing a certain style, shows the average time it takes to ferment/age the beer and finally the time you should be drinking the specific style.